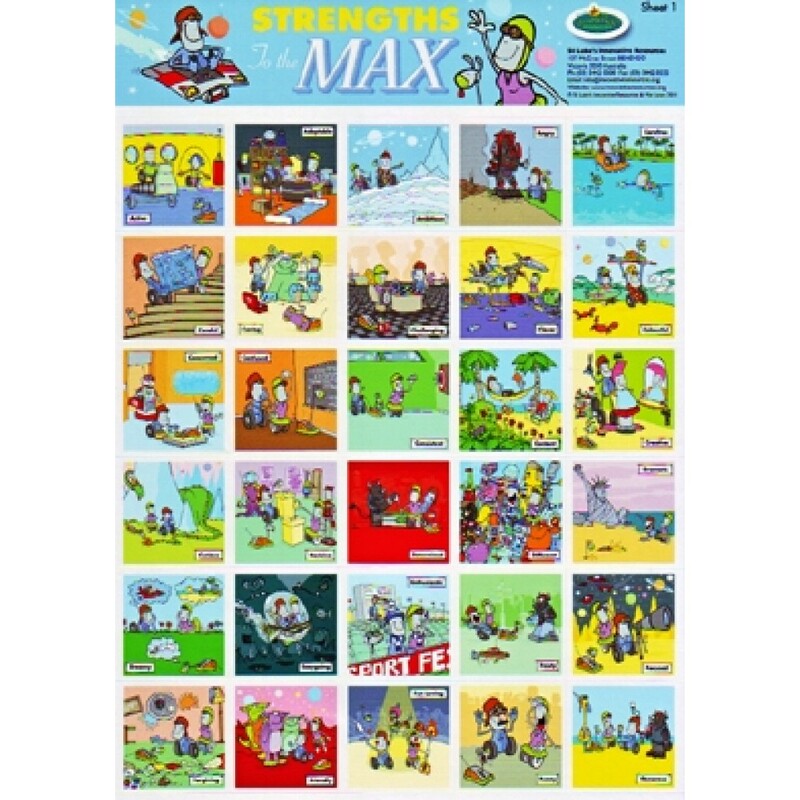 The 60 Strengths to the Max cards are now available as stickers. The pack contains a total of 300 stickers which can be used as reminders of our strengths and as light-hearted messages of goodwill. Try placing a sticker in a child's lunchbox or stick one on your mirror. Or use them to enhance journals or workbooks! Each sticker is 35mm x 35mm.